Originally from epicurious.com, this meal is a simple yet very tasty dish that will definitely be in my recipe book. It’s really simple to cook. 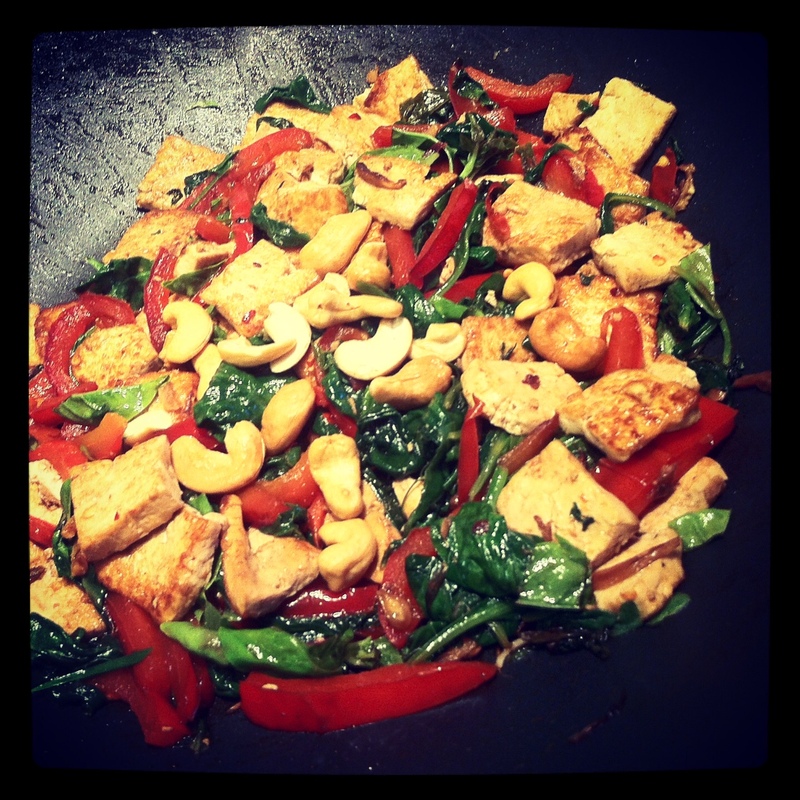 The only thing is that having a great nonstick pan or wok is a must for cooking this nicely. Heat sesame oil in wok over high heat. Add bell peppers, ginger, and garlic; sauté until peppers just begin to soften, about 2 minutes. 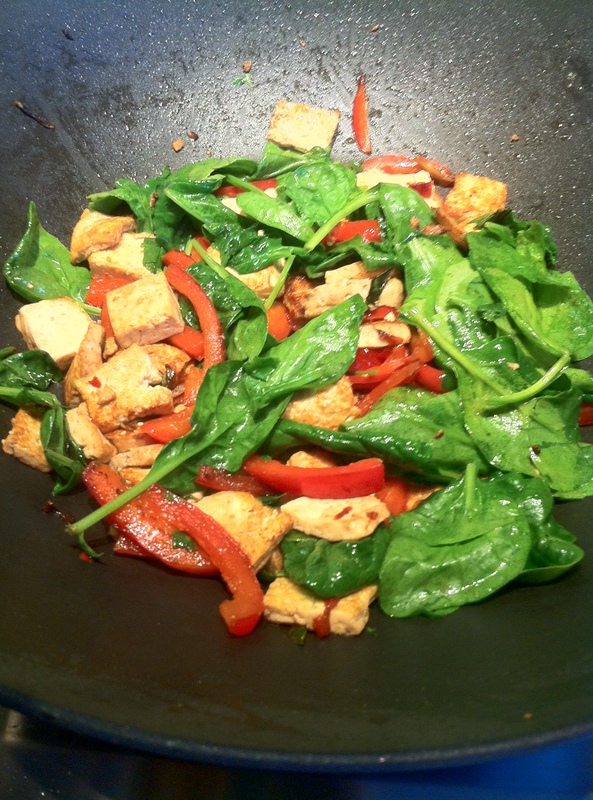 Add tofu and green onions; toss for 5 minutes. Make sure that you toss lightly because you do not want to crumble the tofu. Add next 3 ingredients. Toss to blend, about 1 minute. Add spinach in 3 additions, tossing until it begins to wilt, about 1-2 minutes for each addition. Mix in basil with the cilantro. Season with salt and pepper. Sprinkle cashews over.